A year [before the TV show], a Manhattan-based company named Aboriginals, Ltd had opted to manufacture stuffed fabric dolls based on the Addams family characters. Addams had been thinking about Morticia as the name of the skeletal beauty in black rags, Gomez was already Gomez, and a friend suggested that the pallid little girl he was drawing certainly suggested Wednesday, the child of woe from the traditional nursery rhyme. Addams liked it. Assuming Blake is the “friend” in question, her story largely lines up with the official account. (Interestingly, the toy line—which was very short lived—named the Addams family son Irving before Addams officially named him Pugsley for the TV series.) 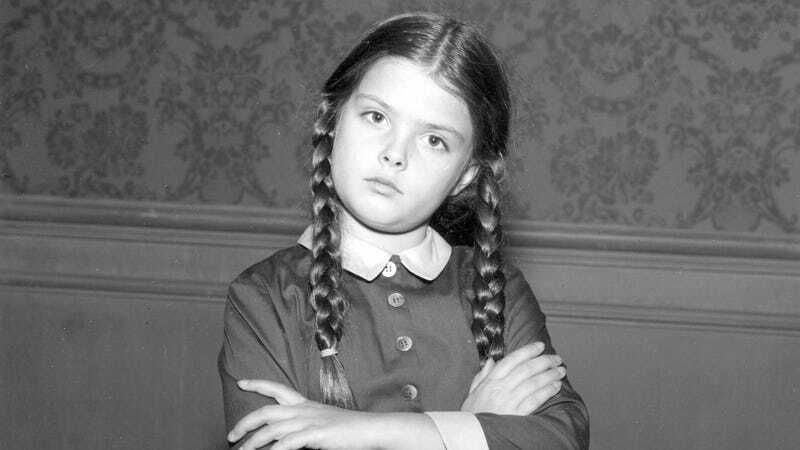 So it turns out we (probably) have a North Carolinian named Joan Blake to thank for Wednesday Addams.